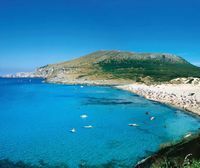 Cala Mesquida is a small seaside resort on the north east coast of the island of Majorca, this hamlet of sixty permanent residents is known for its beautiful beach characterized by its dune system. 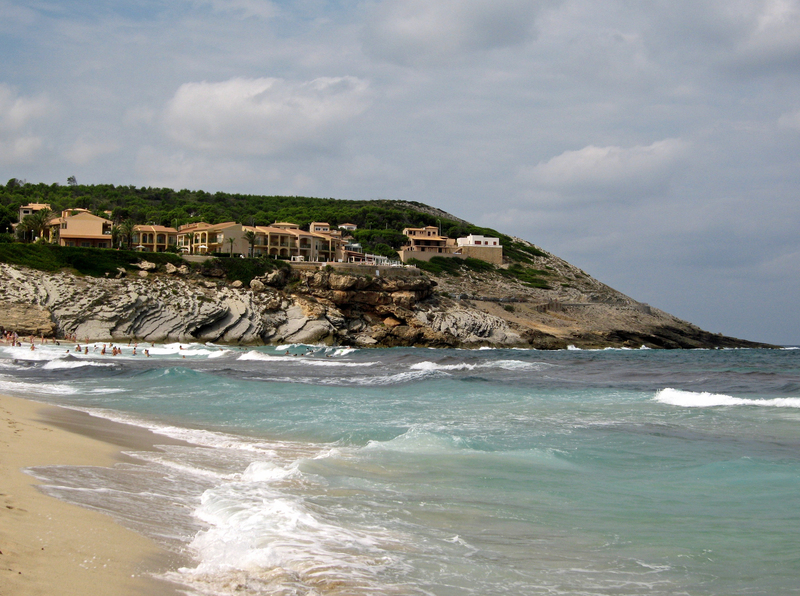 The resort of Cala Mesquida is part of the municipality of Capdepera in the county of Llevant. The place name comes from the name Cala Mesquida agricultural areas (possessió) occupying the site, Sa Mesquida de Dalt and Sa Mesquida de Baix. 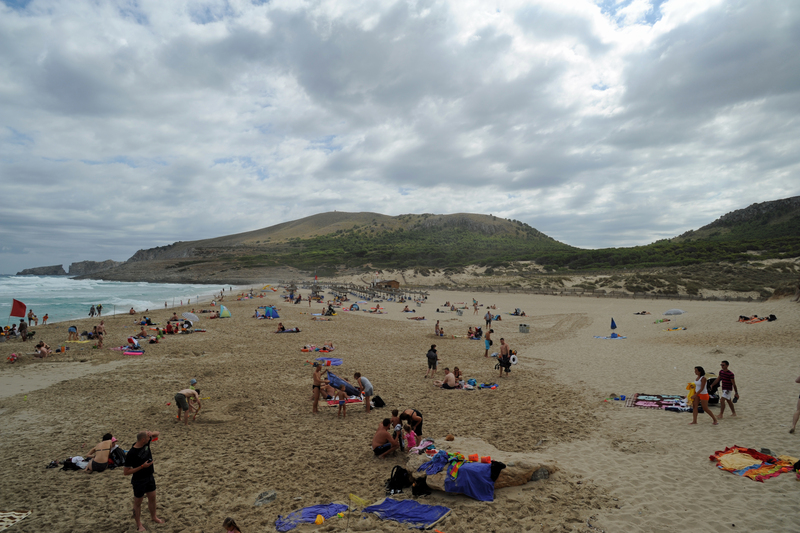 Cala Mesquida is also known as S’Arenal de Sa Mesquida. 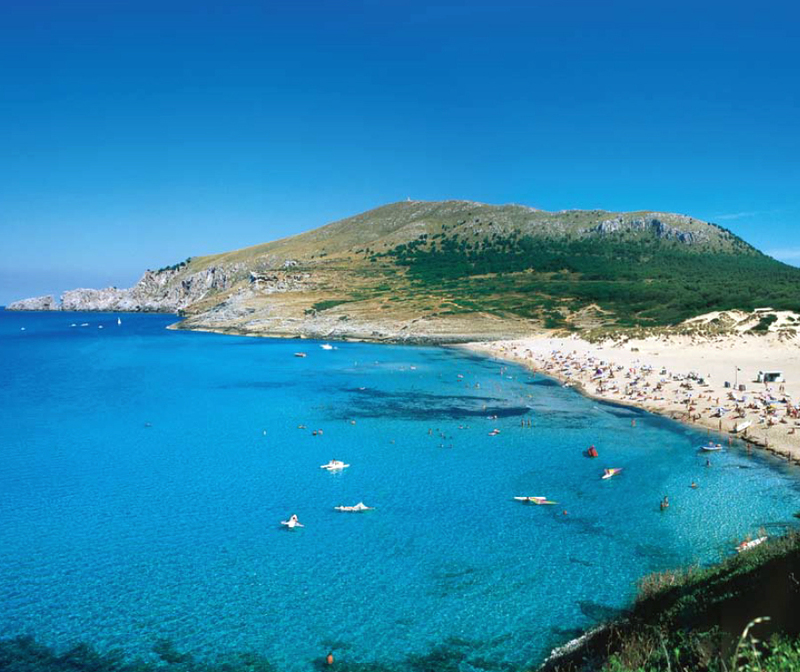 Cala Mesquida is located 6 km north of Capdepera, 8 km northwest of Cala Rajada, and 12 km north-east to Artà. 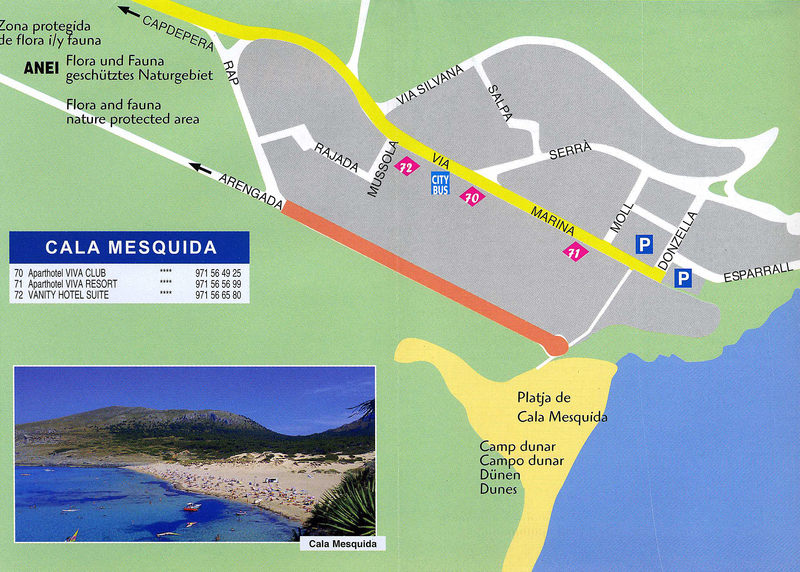 Since a roundabout road Ma-15, a paved road leads to the village and the beach of Cala Mesquida. Free parking, but crowded, just 50 meters from the beach. From Cala Mesquida, you can walk - through the Cap des Freu a path through the woods - to Cala Agulla is another beautiful beach Capdepera. 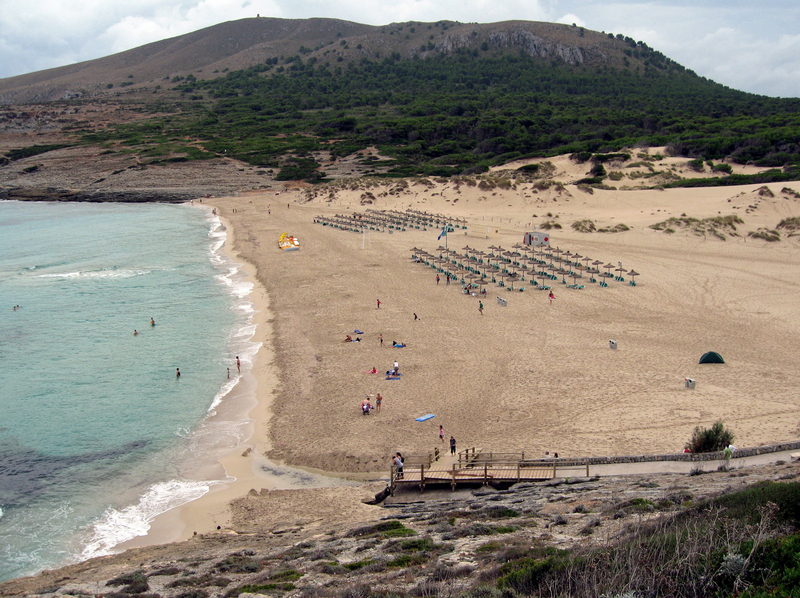 Cala Mesquida is the family resort of Inhabitants of Artà or Capdepera, much less touristy than other stations in the northeast of the island like Cala Millor. 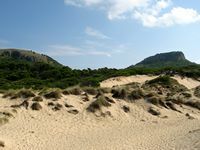 Cala Mesquida enjoys a natural setting: only the portion left Torrent Son Mesquida is buildable, right on the beach is the Cap des Freu (Cape Strait) between Cala Mesquida and Cala Moltó and Cala Agulla. The course is home to a large population of gulls and cormorants: This area was declared in 1991, Natural Area of Special Interest (Àrea Natural de Especial Interes, ANEI) by the parliament of the Balearic Islands. 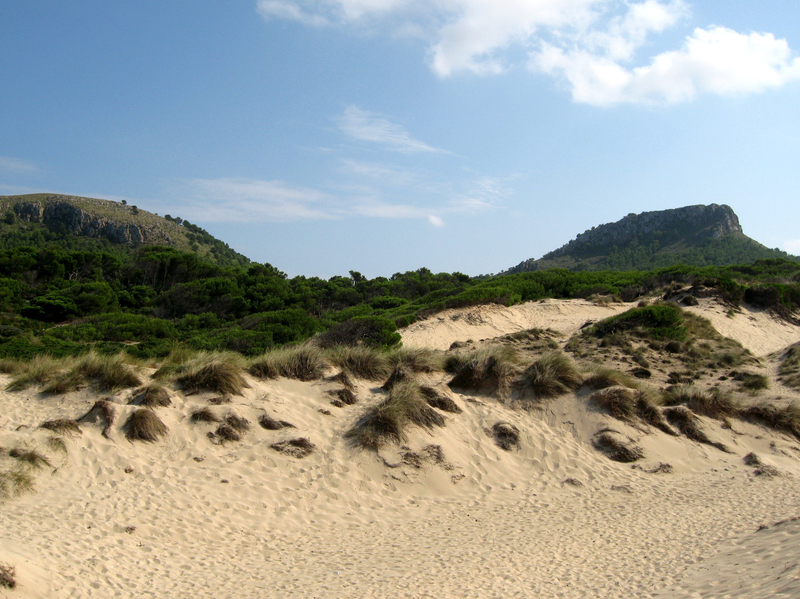 The beach of Cala Mesquida is a fairly open to the winds from the north and north-east bay, these winds have formed a dune system that extends quite far inland, they are covered with mastic, palmettos and pine, the most famous of these is the sand dunes dune of Es Munt Gros. Access to the dunes is prohibited, but a bridge can be observed. 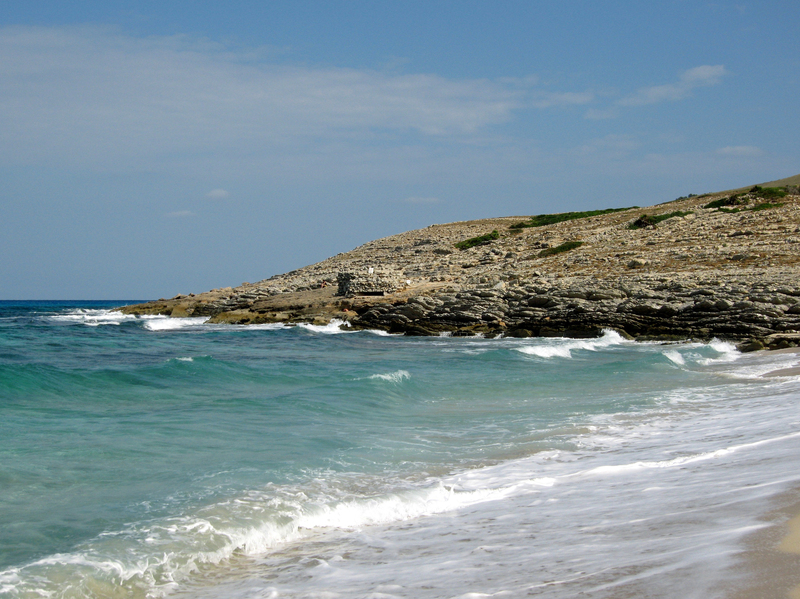 The winds also form strong enough waves, and it is for this reason that Cala Mesquida is one of the few beaches in Majorca where can surfing and windsurfing. 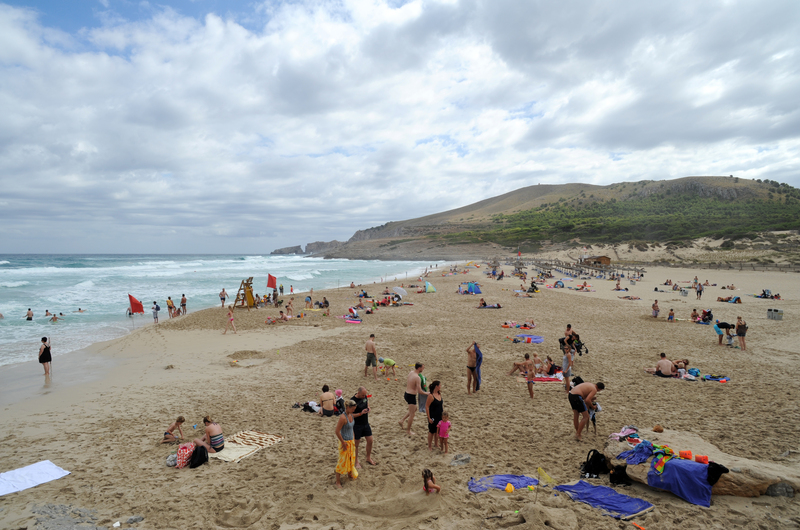 The beach of Cala Mesquida has a length of 300 meters and an average width of 130 meters. 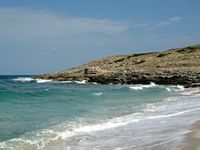 Cala Mesquida was long the scene of action between customs and smugglers because it was one of the preferred places for contraband tobacco and coffee. This illegal activity has become so popular that it had to the Civil Guard barracks building which now are abandoned and in ruins. Hotel Vanity in Cala Mesquida offers quality services in a very peaceful setting, 300 meters from the beach. This hotel is offered by the tour operator FRAM.